From September 1st to 5th , H.E. 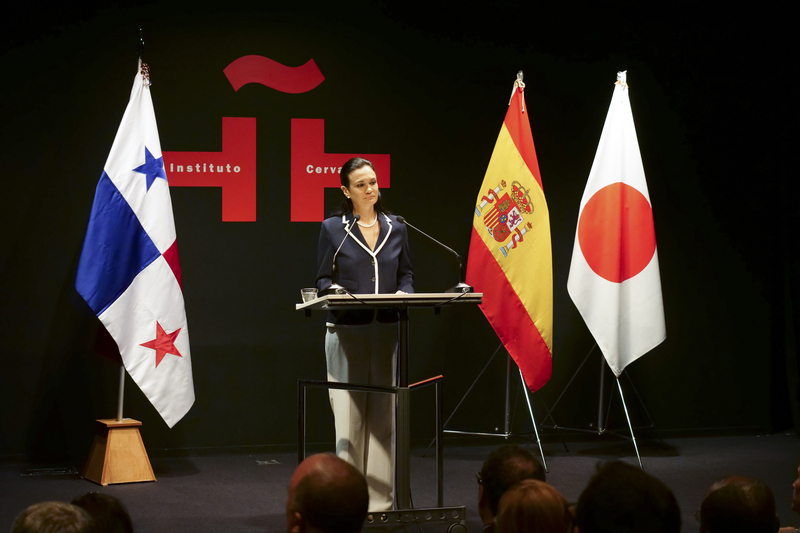 Isabel de Saint Malo de Alvarado, Vice-President and Minister of Foreign Affairs of Panama, carried out an Official Visit to Japan upon invitation of Japanese Government. On the first day, the Vice-President and Minister of Foreign Affairs had a bilateral meeting with her counterpart, H.E. Taro Kono, Minister of Foreign Affairs of Japan. 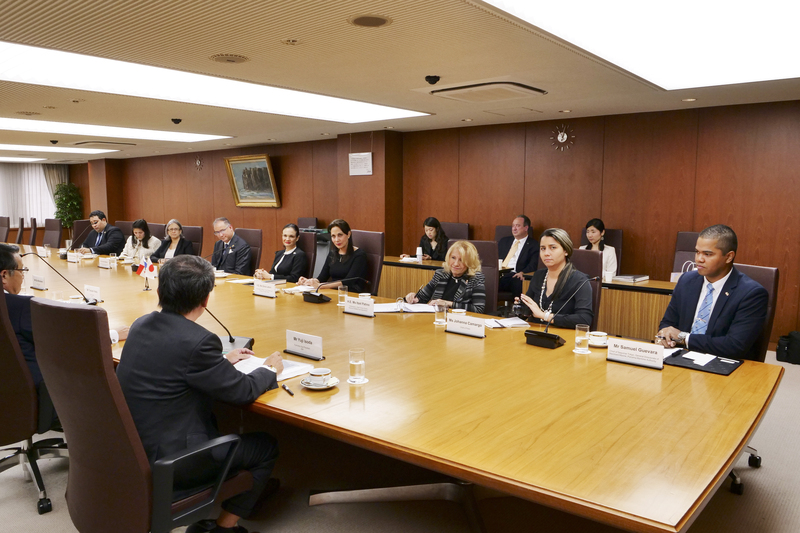 She pointed out the support of Panama to Japan against the recent unilateral activities in the Asia Pacific Region. In addition, she expressed her satisfaction in the agreements that H.E. Juan Carlos Varela, President of Panama, and H.E. Shinzo Abe, Prime Minister of Japan, reached last year, including the project of the Line 3 of Metro in Panama. 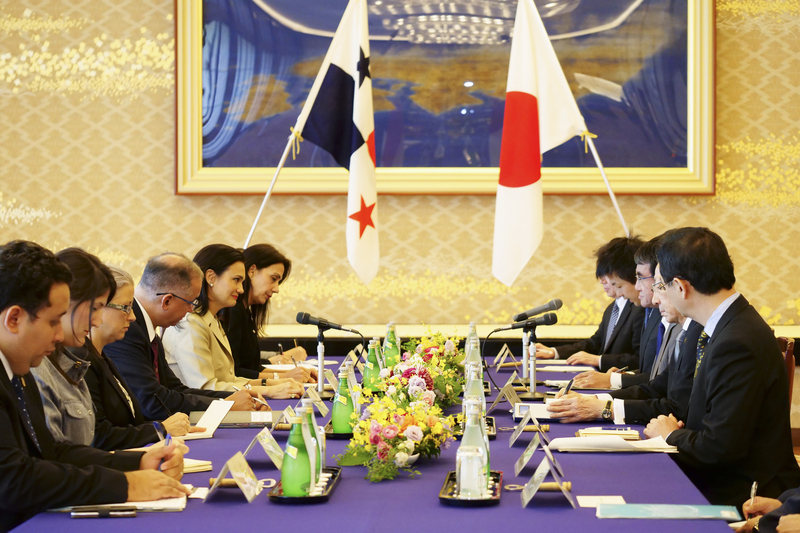 In addition, the Vice-President and Minister of Foreign Affairs paid a courtesy visit to Mr. Seishiro Eto, President of Interparliamentary League Panama Japan, in order to convey her sincere gratitude for his support and work to promote the bilateral relations. 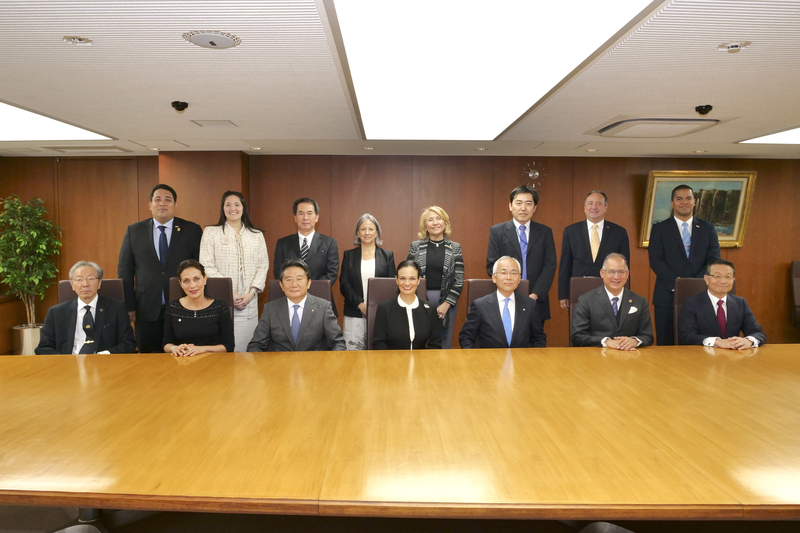 Afterwards, she visited the Japan Bank for International Cooperation (JBIC), where she expressed her interest in promoting Japanese companies to make their ways into Panama taking advantage of the connectivity and the business incentives of the country. 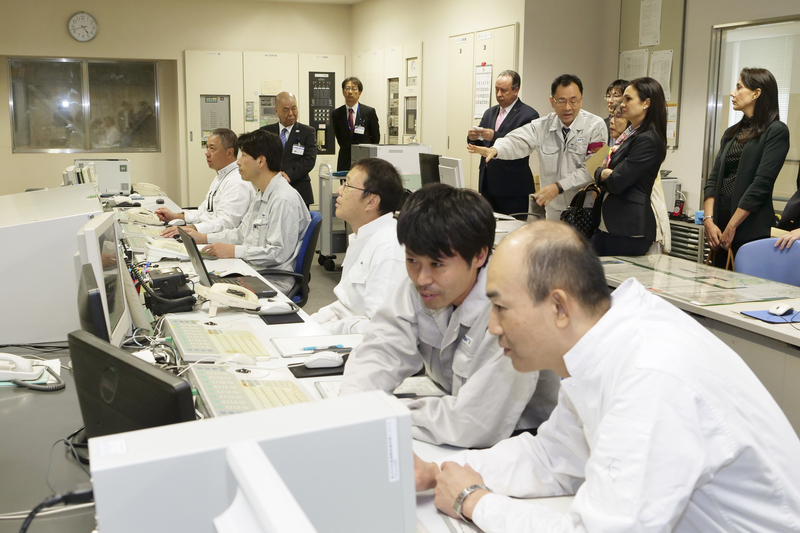 As the last point in her first day of agenda, she made an inspection visit to an incineration plant in Tokyo with a purpose to exchange opinions with the Director and the executives of the plant in a way to search different ways to develop the waste treatment in Panama. 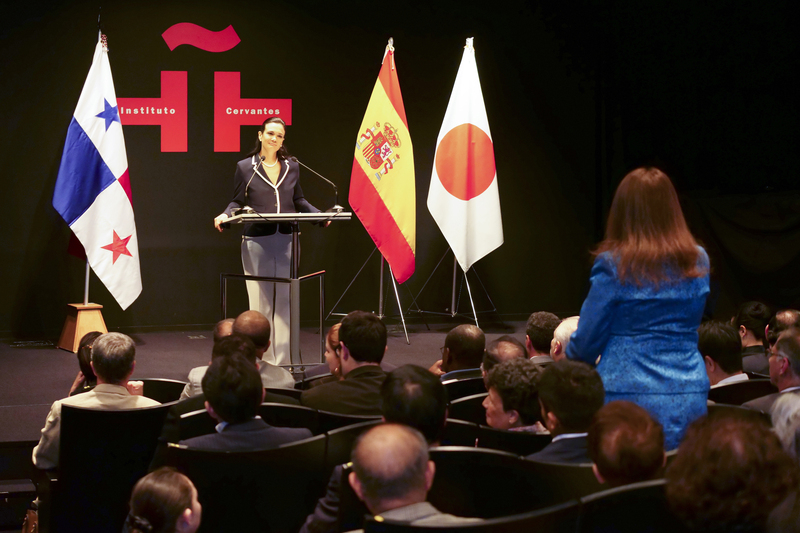 On the second day, the Vice-President and Minister of Foreign Affairs delivered her presentation titled Panama: “Consolidation of the Democracy, Growth and Human Development”, in the Cervantes Institute in Tokyo. During the presentation, she addressed the development and progress which Panama has obtained, such as solid economic growth, the key roles which Panama is taking in commercial and diplomatic issues at regional and global level, including the expansion of the Panama Canal. 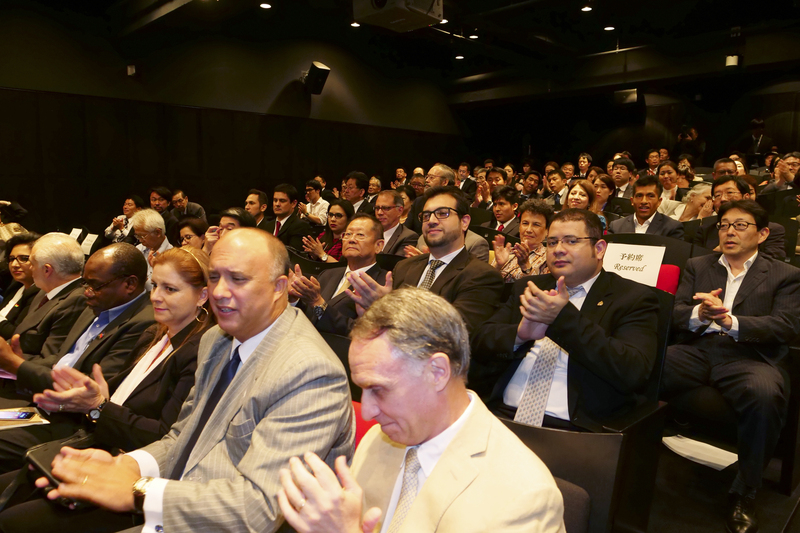 More than 100 people participated in the event, exchanging opinions with the Vice-President and Minister of Foreign Affairs about various aspects of Panama. 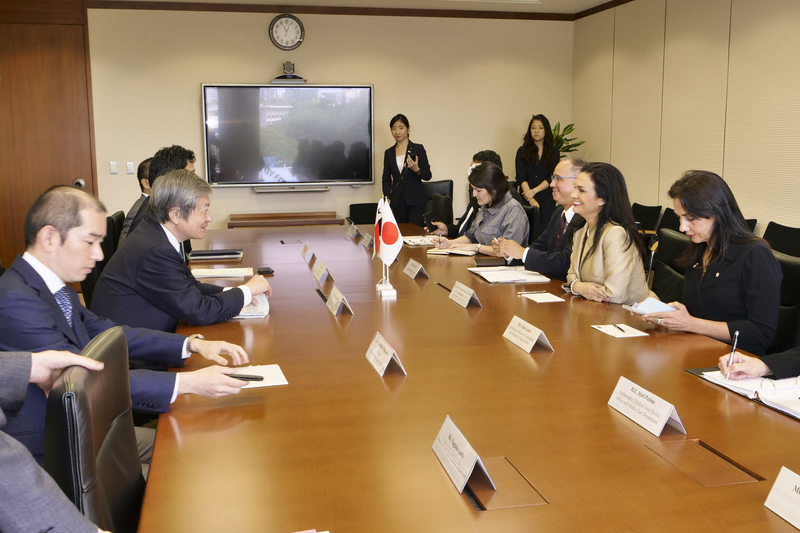 The Vice-President and Minister of Foreign Affairs started her 3rd day with a courtesy visit to the Japan International Cooperation Agency (JICA) in order to strengthen the bilateral cooperation ties, especially, in the scheme of the new strategic vision on the national cooperation plan “Panama Coopera 2030”. 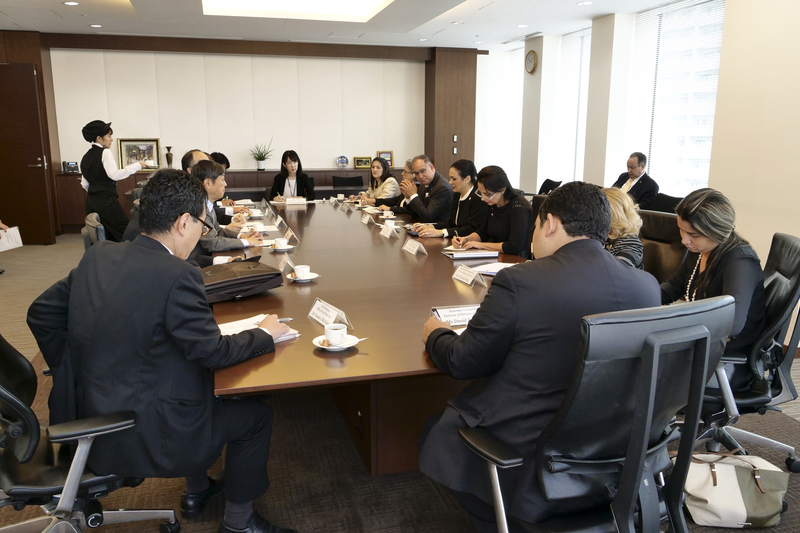 Additionally, she had a meeting with the executive board of the Japan Shipowners Association (JSA), where she expressed the invaluable importance of Japan to Panama as one of the main users of the interoceanic route and the No. 1 user of the Panama Ship Registry. 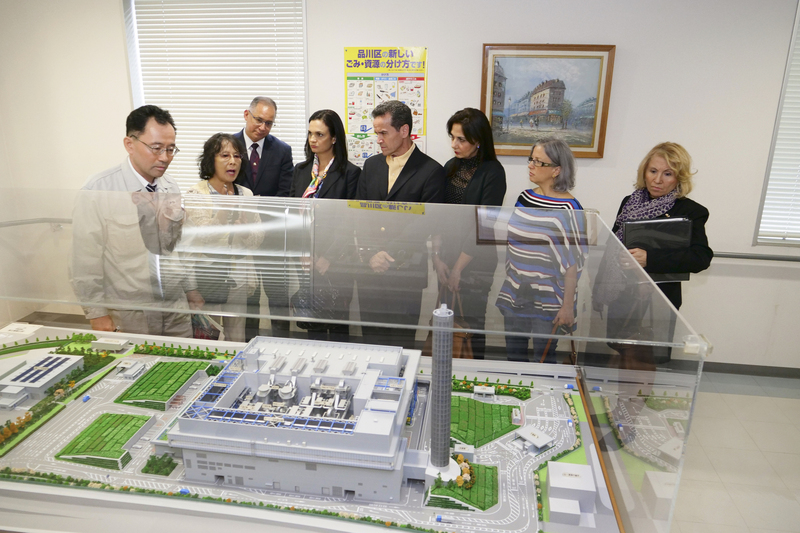 She concluded her official visit with a luncheon meeting with the executives of the Japanese company Hitachi, who showed their interests in reinforcing the relationship with Panama in the areas where the company would be able to provide their technologies. During the Official Visit, the delegation headed by the Vice-President and Minister of Foreign Affairs was accompanied by H.E. Ritter N. Diaz, Ambassador of Panama in Japan and Mr. David De Leon, Economic Counsellor of the Embassy of Panama in Japan. This entry was posted on Tuesday, October 10th, 2017 at 3:11 pm and is filed under event.You can follow any responses to this entry through the RSS 2.0 feed. Both comments and pings are currently closed.